It’s been a particularly busy news week for driver Aric Almirola, as his Richard Petty Motorsports team announced neither he nor longtime sponsor Smithfield Foods will return to the organization next season. Speaking to NASCAR.com, Almirola said he was informed he would not return to RPM weeks ago and has been looking at employment opportunities with other Monster Energy Series teams ever since. “Actually I was rather shocked when I found out,” Almirola said of the news he wouldn’t return to RPM. But, he said repeatedly, he understands the business of the sport and the complicated synergy of driver, team and sponsor. Smithfield Foods has already said it will join Stewart-Haas Racing next year. SHR driver Danica Patrick announced this week she will not be back with the team, so there is a prime opening and much speculation about the veteran Almirola possibly going there. Almirola said there is no news to announce about his 2018 plans, but remained optimistic both he and RPM would land firmly on their collective feet. The 2014 summer Daytona race winner, Almirola is part of a bumper crop of veteran free agents. He sounded hopeful about his plans next season, but reiterated nothing has been finalized yet. “I’m a race car driver and that’s all I want to do, is race,” Almirola said. “From the time I moved to North Carolina from Florida, I never had a Plan B. And until that window of opportunity to drive a race car closes, I’ll go with Plan A. 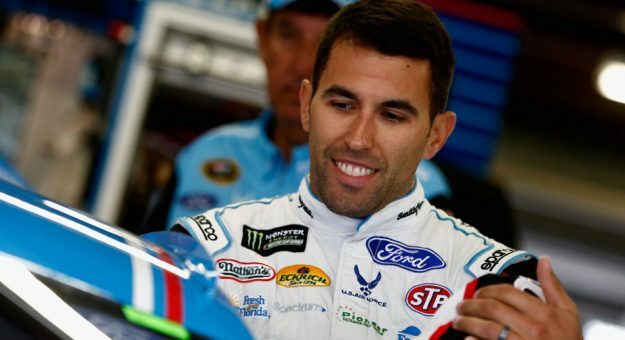 As news about Almirola’s departure surfaced, longtime Petty Motorsports sponsor, STP, responded on Twitter wishing the 33-year-old driver well. Almirola was similarly grateful and complimentary of the sponsors he’s had at RPM during his six-year tenure with the team that produced a victory (Daytona), a pole position (Charlotte, 2012) and 28 top-10 finishes. He has posted a pair of top-five finishes this season at Daytona and Talladega. “My last six years at RPM, it has been truly an honor for me to drive for all of our brands,” Almirola stressed. “Smithfield, obviously, has been the primary sponsor and it’s been great working with them. Also to be a representative of the U.S. Air Force was great. I was born on an Air Force base and my father was in the Air Force. Almirola is hopeful the final months of the season will prove invigorating as well — that good things remain on the horizon for both himself and the Richard Petty Motorsports team he has been a part of for so long. There are no bad feelings, he says, only motivation to move on in a positive way. “Any break up in life is challenging,” he said. “Finding out many weeks ago they would go a different direction was hurtful. I was sad and disappointed, but I know they have to make decisions on what they think is appropriate and necessary.